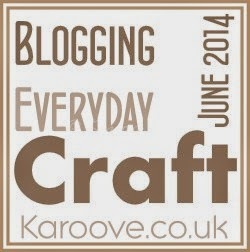 It is Day 21 on the blog and craft challenge today so let's see what the longest day of the year has in store! So... when I'm not crafting, I am working. I work part-time - three days a week, but I sometimes do an extra half a day / day at home depending on how busy the week is, or if it's a busy time of the year. The rest of the week is spent either catching up with people (who I haven't seen for a while) or as most of my friends know I'm a huge fan of the ol' errands! This is now officially defined as a term! Ask them, they'll tell you! That's a short description of what I do when I'm not crafting, some weeks are quite busy, some are quiet - it really does depend - no two weeks are ever the same! With the World Cup on at the moment during the next few weeks - it's a bit busy! 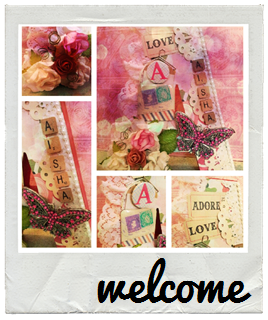 All of these cards have a kraft card base and pattern paper from various 6 x 6 paper pads. The main images themselves were created digitally via the 'A Beautiful Mess' IPad app. The app has some great border, text and image designs to create your own digital art and pictures for cards or any paper-based material. Its great fun and there are an unlimited amount of designs you could create and make! Hope you all liked this post and as always Happy Crafting!